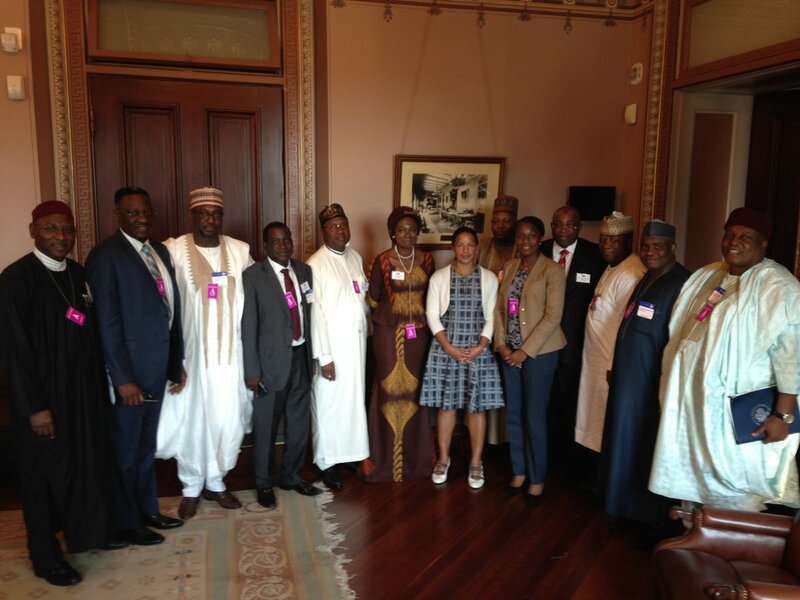 The United States National Security Advisor, Susan E. Rice met with a group of Nigerian governors from the north and middle belt region to discuss issues pertaining to strategic significance to the United States and Nigeria. A statement on the US embassy in Nigeria website stated, "National Security Advisor Susan E. Rice met today with a group of governors representing states in Nigeria’s north and middle belt to discuss issues of strategic significance to the United States and Nigeria. "They discussed the importance of strong and inclusive governance as the region works to confront security threats, including from Boko Haram—now known as ISIL's West Africa Province—and from clashes among ethnic, religious, and other groups in Nigeria. They also discussed how to strengthen collaboration on a faster and more effective response to the humanitarian crisis in northeast Nigeria as well as the importance of meeting the needs of the internally displaced and their host-communities. Finally, the group exchanged ideas for strengthening Nigeria’s economy and creating educational and employment opportunities for the millions of young people eager to contribute to the region's growth. Ambassador Rice underscored the United States' strong partnership with Nigeria at every level of government and deep and longstanding support for the Nigerian people.